More talk today about a possible GM bankruptcy. Well, a monkey with a calculator could have figured out GM was bankrupt years ago, if you accounted for their off-balance sheet liabilities. Instead of addressing the problem then, GM stuck its head in the sand, overproduced cars and offered in-house financing to sell cars that the market couldn’t support, and thus to make their own numbers look better. The credit crisis didn’t hurt GM, GM helped create it. 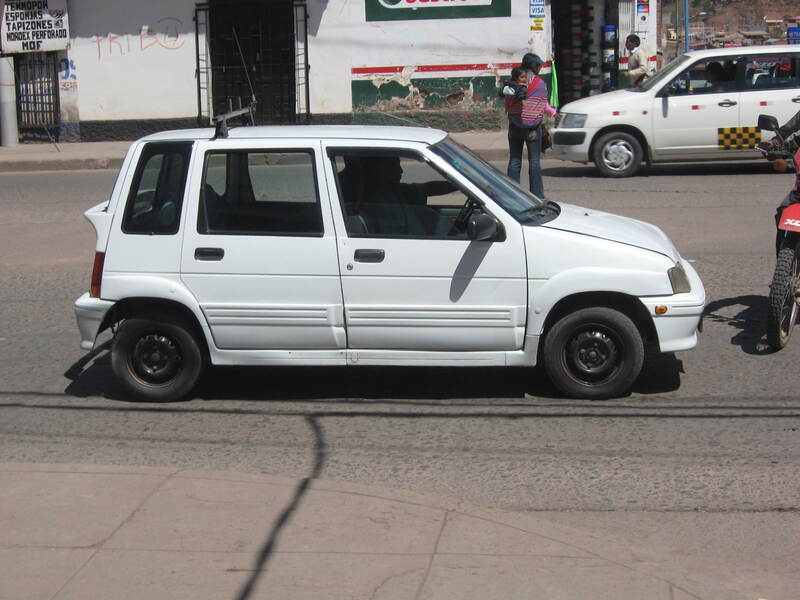 On a different note, instead of fixing their disastrous labor relations GM tried to get rid of its union workforce and go to the greener pastures of Mexico. How’s that whole globalization thing working out? 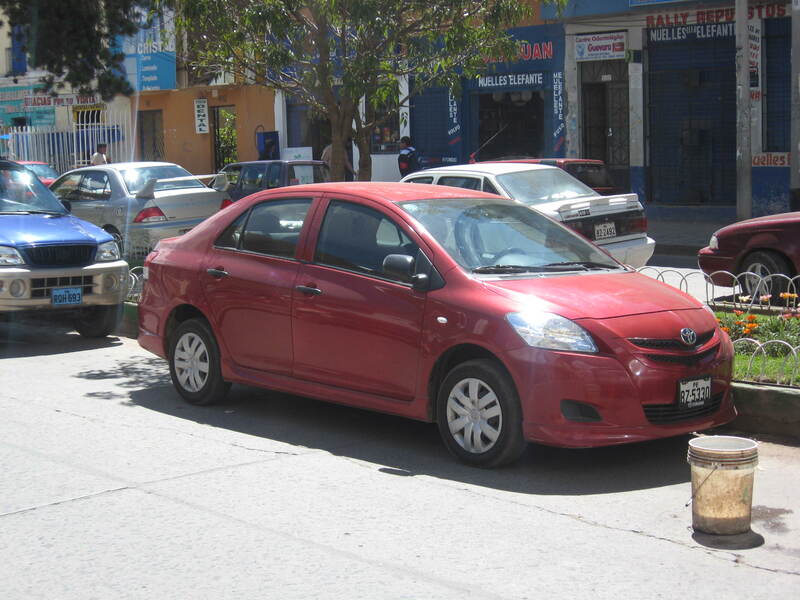 Now take a look at the vast majority of cars on the road in Peru: made in Japan, Korea, and China. Kind of says it all. 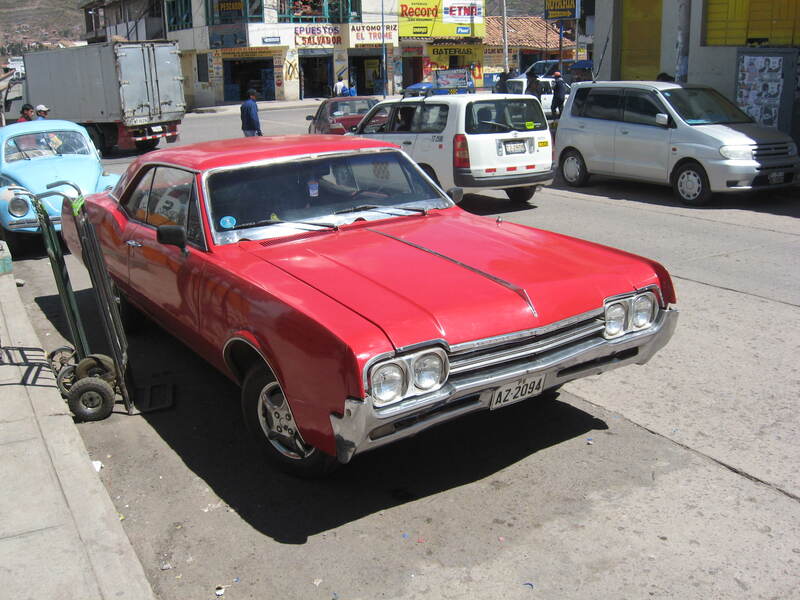 The US auto industry messed up globalization beyond belief. I’m not a happy camper about this: my brother works for GM in Europe, he and a lot of other good people might lose their jobs. This weekend I’m going to the beach. I’m writing a turnaround plan for GM, see if I won’t. This entry was tagged bailout, bankruptcy, business, cars, crisis, globalization, GM, Peru, recession. Bookmark the permalink. 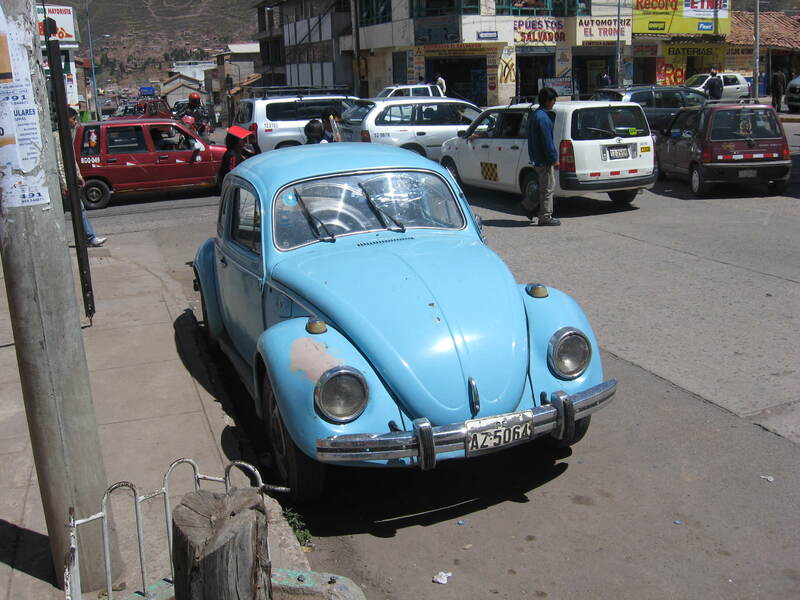 That VW Beetle is probably Brazilian, most in Peru are if they´re not German.